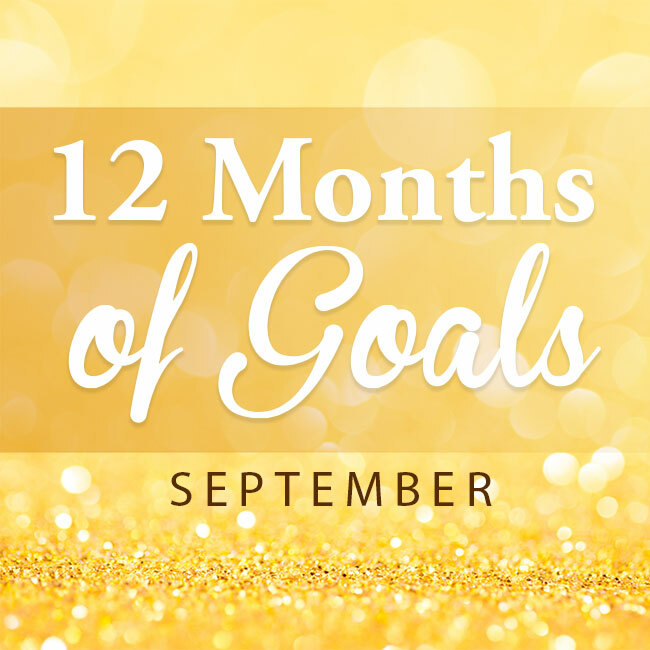 Once a month, my friend Carrie of Curly Crafty Mom and I both set a monthly goal for ourselves. It’s a great way to get things accomplished. It’s been rough for me lately. I was diagnosed with breast cancer at the end of June and had a lumpectomy in August. I most likely will be doing treatment for my breast cancer this fall. So, I’m making my goal this month an easy one. 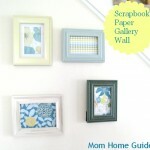 I hope to hang some photo canvases and artwork that have been waiting to be hung in my home. I have quite a few framed art pieces that I have been meaning to put on the walls. 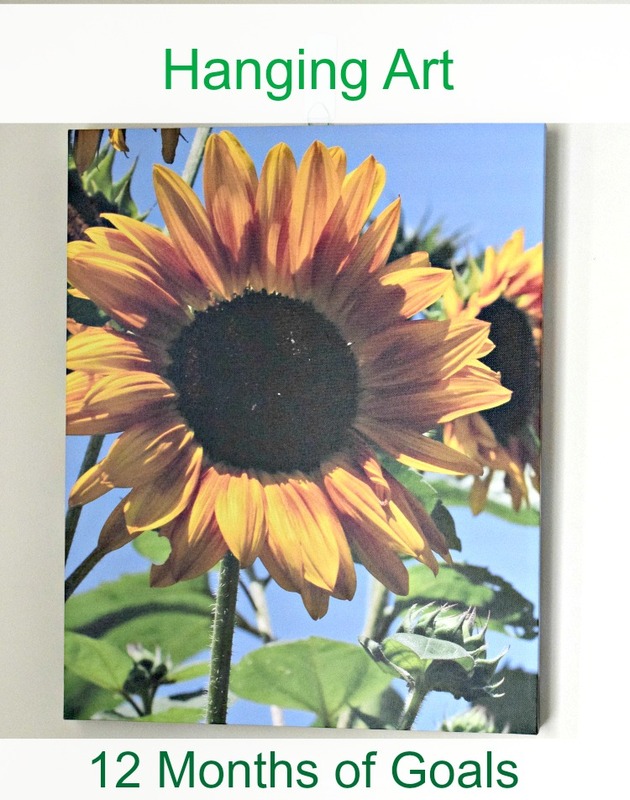 The newest piece of art I have in my home is a canvas sunflower print I made of a beautiful sunflower I saw when I visited some gorgeous local gardens a few weeks ago. Sunflowers are my favorite flower, and I knew the print would work perfectly in my family’s living room. I already got a head start by hanging this print. 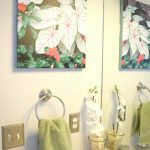 I simply used a Command hook to hang up my new artwork in my living room. (I’ve long given up hanging art with a hammer and a nail.) I love how the print looks in the space. 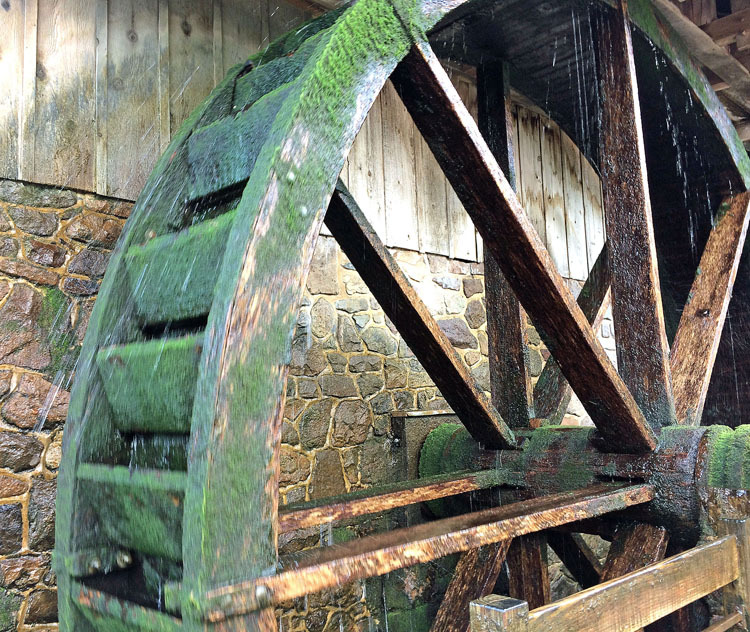 I also have a canvas print I made of a water wheel in Bucks County, Pa. Although I made the water wheel print months ago, I haven’t yet hung it on the wall. 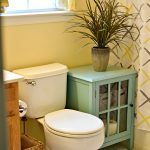 I am planning to hang it on my newly stenciled bathroom wall, so I need to get on that! I’ve been working on a coloring page that came with a frame to hang it in. 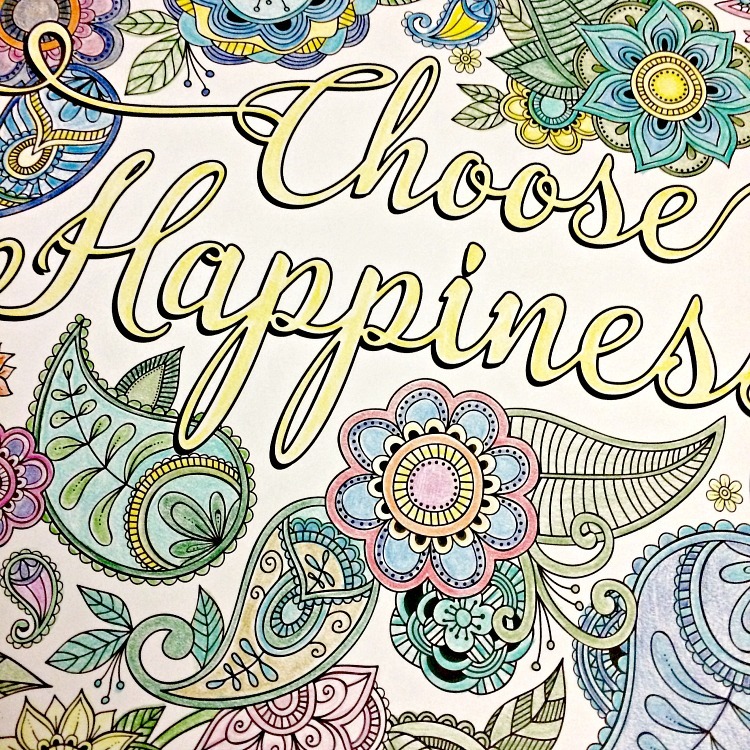 I hope to display the finished coloring page in my home’s master bathroom. I also have to search for two art prints my husband purchased for me before my twin daughters were born. I have no idea where I put them! The prints are a “Happy Dog” and a “Happy Cat” by pop artist Lisa Grubb, who owns the Happy Dog Gallery in the Hudson River town of Piermont, NY. I’d love to hang those prints in my master bedroom. 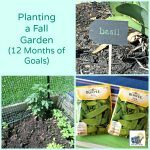 My goal for August was to plant a fall garden. I am happy to say that I accomplished that goal. 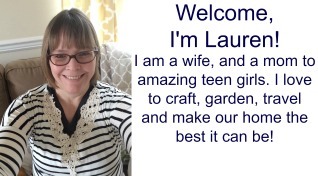 I had to work quickly, because I wanted to get it done before my August lumpectomy. I planted some peas, lettuce, sunflowers, peppers, cilantro and basil. 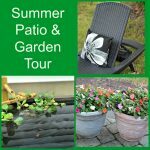 Some of those seeds are not really in season – but since I never got to plant a summer garden this year, I decided to take the chance. I also moved a patio tomato plant into the garden. I didn’t get any tomatoes this year so far — something has been stealing the green tomatoes off the plant! Hopefully something will grow in my garden. At least the peas are already coming up. 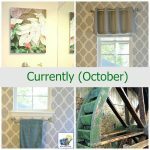 Carrie of Curly Crafty Mom is also sharing her September goal today, so be sure to read what goal she’s tackling this month! 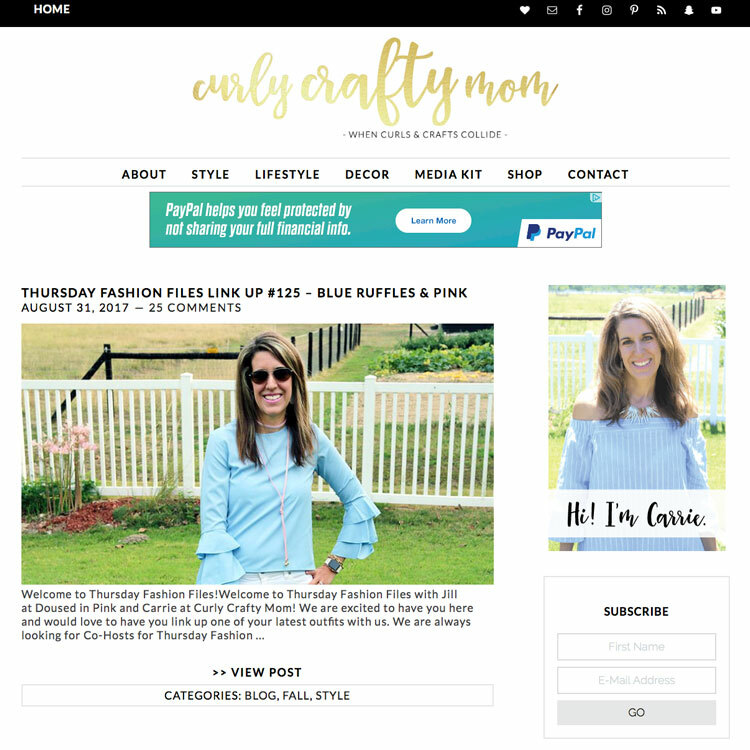 She is working to redesign and update her blog, and it’s looking great! My arms look as if I was in a fight and lost! Hope you enjoy your veggies and have a Blessed weekend and Labor day. All my love & prayers are with you daily.. 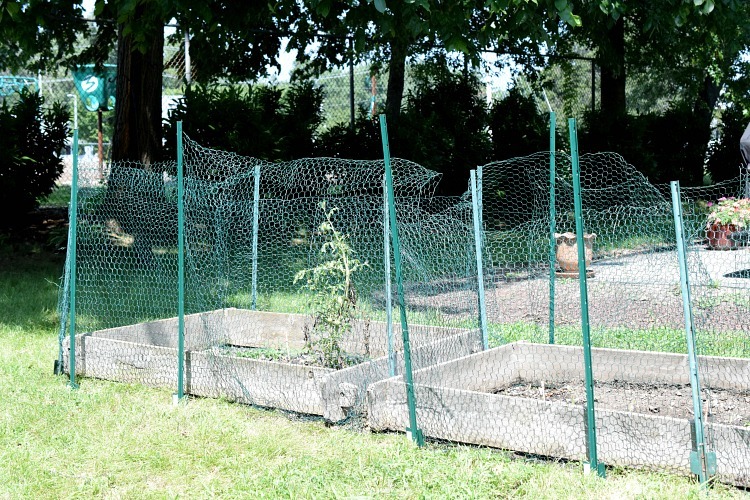 I hope you get a lot of nice veggies from your fall garden! Too bad you aren’t closer, I’d be stoping by for some! Ha! I have a file of frames in my bedroom next to my nightstand that I need to have Brian hang (I tried to hang something once above the toilet, it fell off and cracked the tank!!). Maybe I should make that a goal sometime soon! I also have some stuff I need Brian to hang for my office downstairs. 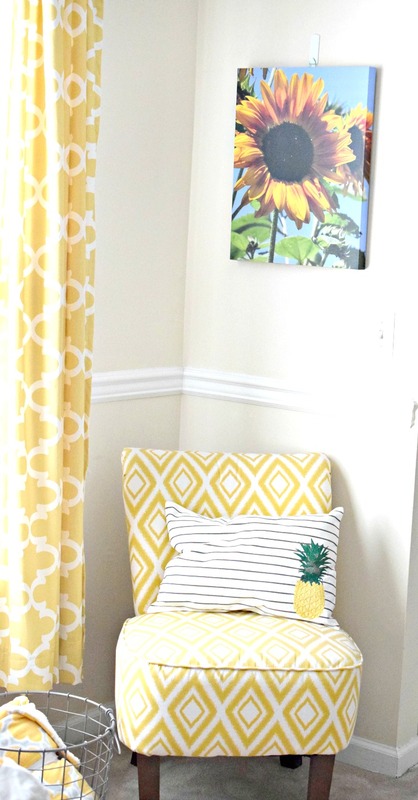 I love that cheerful space where your sunflower print is hung!